La infección crónica con virus oncogénicos es responsable de aproximadamente el 20% de todos los cánceres reportados en humanos, este proceso de oncogénesis viral presenta una naturaleza compleja, multietapa y multifactorial. Un ejemplo de ello es el Virus de Epstein- Barr (EBV), un herpesvirus que infecta de manera latente a más del 90% de la población. 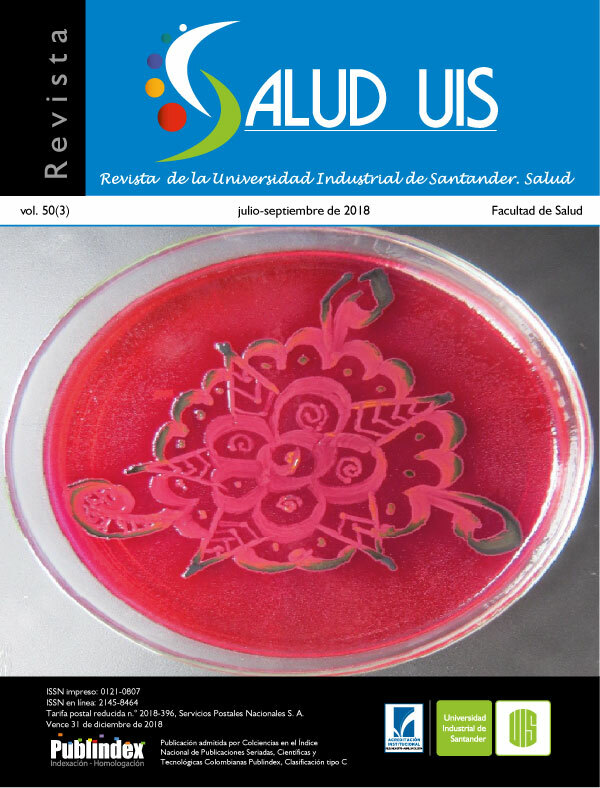 Aunque la infección a menudo cursa de manera asintomática, el EBV es capaz de modificar su expresión genómica estableciendo diferentes fases de latencia, alterando así el metabolismo de sus células blanco, como son los linfocitos B y las células epiteliales, proceso que resulta determinante en la aparición y desarrollo de diferentes patologías que van desde la mononucleosis infecciosa hasta procesos oncológicos como el linfoma de Burkitt, el cáncer gástrico o el cáncer nasofaríngeo. 1. Bocian J, Januszkiewicz-Lewandowska D. Epstein-Barr virus infection - life cycle, methods of diagnosis, associated diseases. Postepy Hig Med Dosw. 2011; 65: 286-298. 2. Jha T, Halder AK, Adhikari N. Epstein–Barr Virus and Treatment of Its Infection; 2011. 3. Damania B, Pipas JM. DNA tumor viruses.DNA Tumor Viruses; Springer. 2009.doi: https://doi.org/10.1007/978-0-387-68945-6. 4. Shannon-Lowe C, Rowe M. Epstein Barr virus entry; Kissing and conjugation. Curr Opin Virol. 2014; 4: 78-84. doi: http://dx.doi.org/10.1016/j.coviro.2013.12.001. 5. Rivailler P, Cho Y-G, Wang F. Complete genomic sequence of an Epstein-Barr virus-related herpesvirus naturally infecting a new world primate: a defining point in the evolution of oncogenic lymphocryptoviruses. J Virol. 2002; 76(23): 12055-12068. 6. Competition L, Affects D, In I. NIH Public Access. 2008; 86(12): 3279-3288. 7. Sathiyamoorthy K, Jiang J, Hu YX, Rowe CL, Möhl BS, Chen J, et al. Assembly and Architecture of the EBV B Cell Entry Triggering Complex. PLoS Pathog. 2014; 10(8): e1004309. doi: 10.1371/journal.ppat.1004309. 9. Szabo FK, Hoffman GE. NIH Public Access. 2012; 37(1): 62-70. 10. Warner WA, Sanchez R, Dawoodian A, Li E, Momand J. NIH Public Access. 2013; 80(4): 631-637.
genome. Proc Natl Acad Sci USA. 2010; 107(2): 850-855. doi: 10.1073/pnas.0911948107. 12. Dreyfus DH, Liu Y, Ghoda LY, Chang JT. Analysis of an ankyrin-like region in Epstein Barr Virus encoded (EBV) BZLF-1 (ZEBRA) protein: implications for interactions with NF-κB and p53. Virol J 2011; 8(1): 422. doi: 10.1186/1743-422X-8-422. 13. Flower K, Thomas D, Heather J, Ramasubramanyan S, Jones S, Sinclair AJ. Epigenetic control of viral Life-Cycle by a DNA-Methylation dependent transcription factor. PLoS One. 2011; 6(10): e25922. doi: 10.1371/journal.pone.0025922. 14. Yang YC, Chang LK. Role of TAF4 in Transcriptional Activation by Rta of Epstein-Barr Virus. PLoS One. 2013; 8(1). e54075. doi: 10.1371/journal.pone.0054075. 15. LaJeunesse DR, Brooks K, Adamson AL. Epstein-Barr virus immediate-early proteins BZLF1 and BRLF1 alter mitochondrial morphology during lytic replication. Biochem Biophys Res Commun. 2005;333(2): 438-442. doi: 10.1016/j.bbrc.2005.05.120. 16. Milián E, Prats E, Cairó JJ, Gòdia F, Vives J. BHRF1 exerts an antiapoptotic effect and cell cycle arrest via Bcl-2 in murine hybridomas. J Biotechnol. 2015; 209: 58-67. doi: http://dx.doi.org/10.1016/j.jbiotec.2015.06.379. 17. Kvansakul M, Wei AH, Fletcher JI, Willis SN, Chen L, Roberts AW, et al. Structural basis for apoptosis inhibition by Epstein-Barr virus bhrf1. PLoS Pathog. 2010; 6(12): e1001236. doi: 10.1371/journal.ppat.1001236. 18. Aubry V, Mure F, Mariame B, Deschamps T, Wyrwicz LS, Manet E, et al. Epstein-Barr Virus late gene transcription depends on the assembly of a Virus-Specific preinitiation complex. J Virol. 2014; 88(21): 12825-12838. doi: http://jvi.asm.org/cgi/doi/10.1128/JVI.02139-14. 19. Gruffat H, Kadjouf F, Mariame B, Manet E. The Epstein-Barr Virus BcRF1 Gene Product Is a TBPLike protein with an essential role in late gene expression. J Virol. 2012; 86(11): 6023-6032. doi: 10.1128/JVI.00159-12. 20. Jochum S, Moosmann A, Lang S, Hammerschmidt W, Zeidler R. The EBV immunoevasins vIL-10 and BNLF2a protect newly infected B cellsfrom immune recognition and elimination. PLoS Pathog. 2012; 8(5): e1002704. doi: 10.1371/journal. 21. Gruffat H, Marchione R, Manet E. Herpesvirus late gene expression: a viral-specific pre-initiation complex is key. Front Microbiol. 2016; 7: 869. doi: 10.3389/fmicb.2016.00869. 22. Roy SG, Robertson ES, Saha A. Epigenetic impact on EBV associated B-cell lymphomagenesis. Biomolecules. 2016; 6(4): 46. doi: 10.3390/biom6040046. 23. Hazra A, Fuchs CS, Chan AT, Giovannucci EL, Hunter J. NIH Public Access. Cancer. 2009;19(9): 975-980. 24. Tempera I, Lieberman PM. Epigenetic regulation of EBV persistence and oncogenesis. Semin Cancer Biol. 2014; 26: 22-29. doi: http://dx.doi.org/10.1016/j.semcancer.2014.01.003. 25. Frappier LD. EBNA1 and epstein-barr virus associated tumours. EBNA1 and Epstein-Barr Virus associated tumours. Springer; 2013. doi: 10.1007/978-1-4614-6886-8. 26. Jha HC, Pei Y, Robertson ES. Epstein-barr virus: Diseases linked to infection and transformation. Front Microbiol. 2016; 7: 1602. doi: 10.3389/fmicb.2016.01602. 27. Gruhne B, Sompallae R, Masucci MG. Three Epstein-Barr virus latency proteins independently promote genomic instability by inducing DNA damage, inhibiting DNA repair and inactivating cell cycle checkpoints. Oncogene. 2009; 28(45): 3997-4008. doi: 10.1038/onc.2009.258. 28. Gruhne B, Sompallae R, Marescotti D, Kamranvar S, Gastaldello S, Masucci M. The Epstein-Barr virus nuclear antigen-1 promotes genomic instability via induction of reactive oxygen species. Proc Natl Acad Sci USA. 2009; 106(7): 2313-2318. doi: 10.1073/pnas.0810619106. 29. Fuchs KP, Bommer G, Dumont E, Christoph B, Vidal M, Kremmer E, et al. Mutational analysis of the J recombination signal sequence binding protein (RBP-J)/ Epstein ± Barr virus nuclear antigen 2 (EBNA2) and RBP-J / Notch interaction. Eur J Biochem. 2001; 268(17): 4639-4646. 30. Parker GA, Touitou R, Allday MJ. Epstein-Barr virus EBNA3C can disrupt multiple cell cycle checkpoints and induce nuclear division divorced from cytokinesis. Oncogene. 2000; 19(5): 700-709. doi: 10.1038/sj.onc.1203327. lymphoblastoid cell growth. Virology. 2012; 414(1): 19-25. doi: 10.1016/j.virol.2011.02.018. 32. Dawson CW, Port RJ, Young LS. The role of the EBV-encoded latent membrane proteins LMP1 and LMP2 in the pathogenesis of nasopharyngeal carcinoma (NPC). Semin Cancer Biol. 2012; 22(2): 144-153. doi: http://dx.doi.org/10.1016/j.semcancer.2012.01.004. 33. Sammond DW, Joce C, Takeshita R, McQuate SE, Ghosh N, Martin JM, et al. Transmembrane peptides used to investigate the homo-oligomeric interface and binding hotspot of latent membrane protein 1. Biopolymers. 2011; 95(11): 772-784. doi: 10.1002/bip.21672. 34. Ndour PA, Ouk TS, Brocqueville G, Mougel A, Vanhecke E, Feuillard J, et al. Inhibition of tumor necrosis factor-induced phenotypes by short intracellular versions of latent membrane protein-1. Cell Signal. 2010; 22(2): 303-313. doi: http://dx.doi.org/10.1016/j.cellsig.2009.09.037. 35. Schneider F, Neugebauer J, Griese J, Liefold N, Kutz H, Briseño C, et al. The viral oncoprotein LMP1 exploits TRADD for signaling by masking its apoptotic activity. PLoS Biol. 2008;6(1): e8. doi: 10.1371/journal.pbio.0060008. 36. Sun L, Zhao Y, Shi H, Ma C, Wei L. LMP-1 induces Survivin expression to inhibit cell apoptosis through the NF-κB and PI3K/Akt signaling pathways in nasal NK/T-cell lymphoma. Oncol Rep. 2015; 33(5): 2253-2260. doi: 10.3892/or.2015.3847. 37. Chen C-C, Liu H-P, Chao M, Liang Y, Tsang N-M, Huang H-Y, et al. NF-κB-mediated transcriptional upregulation of TNFAIP2 by the Epstein-Barr virus oncoprotein, LMP1, promotes cell motility in nasopharyngeal carcinoma. Oncogene. 2014; 33(28): 3648-3659. doi: 10.1038/onc.2013.345. 38. Yoshimori M, Imadome KI, Komatsu H, Wang L, Saitoh Y, Yamaoka S, et al. CD137 expression is induced by Epstein-barr virus infection through LMP1 in T or NK cells and mediates survival promoting signals. PLoS One. 2014;9(11): e112564. doi: 10.1371/journal.pone.0112564. 39. You S, Zhang F, Meng F, Li H, Liu Q, Liang Y, et al. EBV-encoded LMP1 increases nuclear β-catenin accumulation and its transcriptional activity in nasopharyngeal carcinoma. Tumour Biol. 2011; 32(4): 623-630. doi: 10.1007/s13277-011-0161-x. 40. Seo SY, Kim E-O, Jang KL. Epstein-Barr virus latent membrane protein 1 suppresses the growthinhibitory effect of retinoic acid by inhibiting retinoic acid receptor-beta2 expression via DNA methylation. Cancer Lett. 2008; 270(1): 66-76. doi: 10.1016/j.canlet.2008.04.043. 41. Lee H, Seo SY, Tiwari I, Jang KL. Epstein–Barr Virus latent membrane protein 1 overcomes alltrans retinoic acid-induced apoptosis by inhibiting retinoic acid receptor-β2 expression. Biochem Biophys Res Commun. 2012; 423(2): 313-318. doi: 10.1016/j.bbrc.2012.05.118. 42. Yoshizaki T, Sato H, Furukawa M, Pagano JS. The expression of matrix metalloproteinase 9 is enhanced by Epstein – Barr virus latent membrane protein 1. Proc Natl Acad Sci USA. 1998; 95(7): 3621-3626. 43. Wang Z, Luo F, Li L, Yang L, Hu D, Ma X, et al. STAT3 activation induced by Epstein-Barr virus latent membrane protein1 causes vascular endothelial growth factor expression and cellular invasiveness via JAK3 and ERK signaling. Eur J Cancer. 2010; 46(16): 2996-3006. doi: 10.1016/j.ejca.2010.07.008. 44. Incrocci R, Hussain S, Stone A, Bieging K, Alt LAC, Fay MJ, et al. Epstein-Barr virus Latent Membrane Protein 2A (LMP2A)-mediated changes in Fas expression and Fas-dependent apoptosis: role of Lyn/Syk activation. Cell Immunol. 2015; 297(2): 108-119. doi: http://dx.doi.org/10.1016/j.cellimm.2015.08.001. 45. Morrison JA, Klingelhutz AJ. Epstein-Barr Virus Latent Membrane Protein 2A Activates ␤-Catenin Signaling in Epithelial Cells. Society. 2003; 77(22): 12276-12284. 46. Portis T, Longnecker R. Epstein-Barr virus (EBV) LMP2A mediates B-lymphocyte survival through constitutive activation of the Ras/PI3K/Akt pathway. Oncogene. 2004; 23(53): 8619-8628. doi: 10.1038/sj.onc.1207905. Commun. 2013; 436(4): 672-676. doi: http://dx.doi.org/10.1016/j.bbrc.2013.06.014. 48. Iwakiri D, Takada K. Role of EBERs in the pathogenesis of EBV infection. Adv Cancer Res. 2010; 107(10): 119-136. doi: 10.1016/S0065-230X(10)07004-1. 49. Rostgaard K, Wohlfahrt J, Hjalgrim H. A genetic basis for infectious mononucleosis: evidence from a family study of hospitalized cases in Denmark. Clin Infect Dis. 2014; 58(12): 1684-1689. doi: 10.1093/cid/ciu204. 50. Chijioke O, Azzi T, Nadal D, Munz C. Innate immune responses against Epstein Barr virus infection. J Leukoc Biol. 2013; 94(6): 1185-1190. doi: http://www.jleukbio.org/cgi/doi/10.1189/jlb.0313173. 51. Ning S. Innate immune modulation in EBV infection. Herpesviridae. 2011; 2(1): 1. doi: 10.1186/2042-4280-2-1. 52. Farina A, Peruzzi G, Lacconi V, Lenna S, Quarta S, Rosato E, et al. Epstein-Barr virus lytic infection promotes activation of Toll-like receptor 8 innate immune response in systemic sclerosis monocytes. Arthritis Res Ther. 2017; 19(1): 39. oi: 10.1186/s13075-017-1237-9. 53. Mc Sherry J. Diagnosis of infectious mononucleosis. J Fam Pract. 1989; 29(6): 604. 54. Dohno S, Maeda A, Ishiura Y, Sato T, Fujieda M, Wakiguchi H. Diagnosis of infectious mononucleosis caused by Epstein-Barr virus in infants. Pediatr Int. 2010; 52(4): 536-540. doi: 10.1111/j.1442-200X.2010.03087.x. 55. Hurt C, Tammaro D. Diagnostic Evaluation of Mononucleosis-Like Illnesses. Am J Med. 2007; 120(10): 911e1-8. doi: 10.1016/j.amjmed.2006.12.011. 56. Thompson S, Doerr TD, Hengerer AS. Infectious Mononucleosis and Corticosteroids. Arch Otolaryngol Head Neck Surg. 2005; 131(10): 900-904. doi: 10.1001/archotol.131.10.900. 57. Molyneux EM, Rochford R, Griffin B, Newton R, Jackson G, Menon G, et al. Burkitt’s lymphoma. Lancet. 2012; 379(9822): 1234-1244. 59. Ayers LW, Tumwine LK. Burkitt’s Lymphoma. New York: Springer; 2013; 35-53. doi: https://doi.org/10.1007/978-1-4614-4313-1. 60. Orem J, Mulumba Y, Algeri S, Bellocco R, Mangen FW, Mbidde EK, et al. Clinical characteristics, treatment and outcome of childhood Burkitt’s lymphoma at the Uganda Cancer Institute. Trans R Soc Trop Med Hyg. 2011; 105(12): 717-726. doi: http://dx.doi.org/10.1016/j.trstmh.2011.08.008. 61. Rowe M, Kelly GL, Bell AI, Rickinson AB. Burkitt’s lymphoma: The Rosetta Stone deciphering Epstein-Barr virus biology. Semin Cancer Biol. 2009; 19(6): 377-388. doi: 10.1016/j.semcancer.2009.07.004. 62. Bornkamm GW. Epstein-Barr virus and its role in the pathogenesis of Burkitt’s lymphoma: an unresolved issue. Semin Cancer Biol. 2009; 19(6):377-388. doi: 10.1016/j.semcancer.2009.07.002. 63. Münz C. Epstein-Barr Virus Nuclear Antigen 1: Figure 1. J Exp Med. 2004; 199(10): 1301-1304. doi: http://www.jem.org/lookup/doi/10.1084/jem.20040730. 64. LaCasce AS. Lymphoma Series: variants of large-Cell Lymphoma Primary Mediastinal Large B-Cell Lymphoma. Oncologist. 2006; 11: 488-495. 65. Sohani AR, Hasserjian RP. Diagnosis of Burkitt Lymphoma and Related High-Grade B-Cell Neoplasms. Surg Pathol Clin. 2010; 3(4): 1035-1059. doi: http://dx.doi.org/10.1016/j.path.2010.09.010. 66. Naresh KN, Ibrahim HAH, Lazzi S, Rince P, Onorati M, Ambrosio MR, et al. Diagnosis of Burkitt lymphoma using an algorithmic approach - applicable in both resource-poor and resource-rich countries. Br J Haematol. 2011; 154(6): 770-776. doi: 10.1111/j.1365-2141.2011.08771.x. 67. Dunleavy K, Little RF, Wilson WH. Update on Burkitt Lymphoma. Hematol Oncol Clin North Am. 2016; 30(6): 1333-1343. doi: 10.1016/j.hoc.2016.07.009. international FAB / LMB96 trial for intermediate risk B-cell non-Hodgkin lymphoma in children and adolescents: it is possible to reduce treatment for the early responding patients. Blood. 2007; 109(7): 2773-2780. DOI: 10.1182/blood-2006-07-036673. 69. Diviné M, Casassus P, Koscielny S, Bosq J, Sebban C, Le Maignan C, et al. Burkitt lymphoma in adults: a prospective study of 72 patients treated with an adapted pediatric LMB protocol. Ann Oncol. 2005; 16(12): 1928-1935. doi: 10.1093/annonc/mdi403. 70. Dunleavy K, Pittaluga S, Shovlin M, Steinberg SM, Cole D, Grant C, et al. Low-Intensity therapy in adults with Burkitt’s Lymphoma. N Engl J Med. 2013; 369(20): 1915-1925. doi: http://www.nejm.org/doi/10.1056/NEJMoa1308392. therapy in primary mediastinal B-Cell Lymphoma. N Engl J Med. 2013; 368(15): 1408-1416. doi: http://www.nejm.org/doi/10.1056/NEJMoa1214561. 72. Wang HY, Chang YL, To KF, Hwang JSG, Mai HQ, Feng YF, et al. A new prognostic histopathologic classification of nasopharyngeal carcinoma. Chin J Cancer. 2016; 35:41. doi: 10.1186/s40880-016-0103-5. 73. Hutajulu SH, Kurnianda J, Tan IB, Middeldorp JM. Therapeutic implications of Epstein-Barr virus infection for the treatment of nasopharyngeal carcinoma. Ther Clin Risk Manag. 2014; 10: 721-736. doi: 10.2147/TCRM.S47434. ESTRO Clinical Practice Guidelines for diagnosis, treatment and follow-up. Ann Oncol. 2012; 23(suppl 7): vii83-vii85. doi: 10.1093/annonc/mds266e. 75. Glastonbury CM. Nasopharyngeal carcinoma: the role of magnetic resonance imaging in diagnosis, staging, treatment, and follow-up. Top Magn Reson Imaging. 2007; 18(4): 225-235. doi: 10.1097/RMR.0b013e3181572b3a. 76. Ok CY, Papathomas TG, Medeiros LJ, Young KH. Review Article EBV-positive diffuse large B-cell lymphoma of the elderly. Blood. 2013; 122(3): 328-340. doi: 10.1182/blood-2013-03-489708. 77. Stanfield BA, Luftig MA. Recent advances in understanding Epstein-Barr virus. F1000Research. 2017; 6: 386. doi: 10.12688/f1000research.10591.